A world where reliable electricity should not be considered a luxury but as an essential part of life, both today and into the future. Enter the world of Selectronic power systems, based on the remarkable SP PRO series. Anything is possible, limited only by your imagination or your desire to use technology to make your lifestyle more comfortable. The SP PRO series provides more reliable power whilst also reducing your carbon footprint and increasing cost effectiveness. 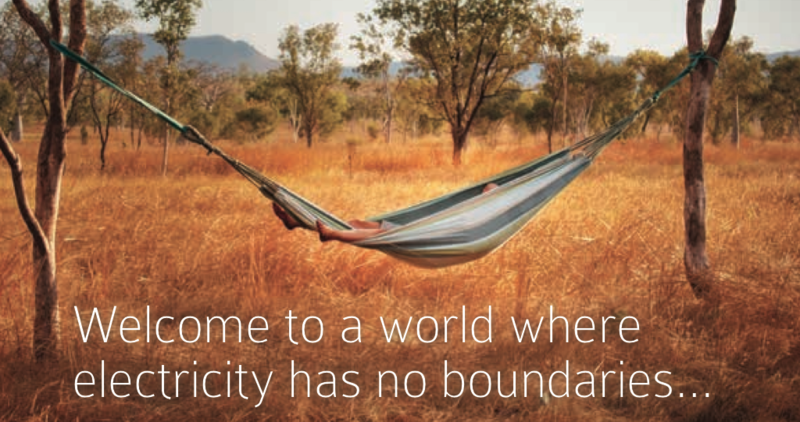 From Outback Australia to the Himalayan mountains, let Selectronic power your world. No matter how far you are from grid electricity an SP PRO system will provide you with a smooth, ultra low distortion power supply. Everyday modern appliances can be operated without fuss; even large pumps and motors can be operated as the SP PRO can provide up to 260% power for short periods thanks to its super strong Toroidal Transformer Technology. An SP PRO Interactive Inverter Charger will convert electricity stored in batteries to operate your normal electrical appliances, and provide a quality and reliability far exceeding grid electricity. One of the most intelligent Inverter Chargers in the world, the SP PRO will monitor and manage all aspects of your independent power system and ensure maximum use of any Renewable Energy, whilst maximising battery life and reducing generator running costs. Of course you would expect this kind of performance from a company that has produced battery based inverters since 1981, which are used in some of the harshest and most remote locations on earth. Unlike many other Inverter Chargers, the SP PRO will interact in parallel with your generator. Once the generator seizes the load, the SP PRO charges the batteries or supplements the generator’s output to run the load. The result is TRUE NO BREAK performance when under SP PRO control and completely safe for all appliances including computers. Batteries can be accurately charged with the adaptive charging algorithms. These adjustable parameters are temperature compensated and ensure batteries are completely and safely charged to 100%, which leads to extended battery life and greater return on your investment. The SP PRO can work with many different battery technologies up to 10,000Ah. The SP PRO is fully adaptable and can be used in AC Coupled or DC Coupled PV systems. Using our highly acclaimed Managed AC Coupled topology the SP PRO controls Selectronic Certified grid tie inverters via a communications link. This provides complete and precise battery charging and data collection by the SP PRO. All data is conveniently displayed by the SP PRO. A DC coupled system utilises any Solar Charge controller and will provide an accurate Battery State of Charge reading. Some sites are better suited to utilising Windpower or Hydropower. The SP PRO will work with these DC Coupled Energy sources without a problem, whilst continually providing an accurate State Of Charge reading. Free SP LINK software can be used to display over 200 data points, up to 18 months of daily system summaries and up to 4 months data logging. There are a number of wired and wireless options allowing you to view and control your system from anywhere in the world. … knowing that you are covered by a company that has been around since 1964 and has designed and manufactured battery based inverters since 1981. Up to 8 years warranty gives you peace of mind knowing you will be supported for the life of your system. With a correctly integrated Selectronic system, you can live with total independence and freedom knowing that you have the most reliable power system available. No need to change your lifestyle if you don’t want to. If connection to the electricity grid should one day become an option, then a simple and quick on–site setting change will turn the SP PRO system into a fully featured solar hybrid (grid connected) power system.